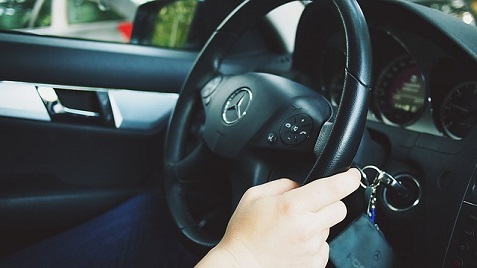 If you are unfortunate enough to fail your first driving test you are actually in the majority rather than the minority, as less than half of us are given official permission to drive solo at the first attempt. The record for failed tests goes to an unnamed man in Stoke who passed on his 37th go and one unfortunate woman failed her theory test a record 110 times, so don’t feel bad if you fail first time. The purpose of a driving test is to ensure you are safe behind the wheel and to try and ensure that the number of road traffic accidents is kept under reasonable control with the imposition of minimum driving standards before being given a full licence. When you take your driving test you are given a score sheet by the examiner who will go through the reasons why you failed to meet the required standard if the outcome is not what you were hoping for. There are a number of fundamental reasons why many of fail our driving test and there is a good reason that if you have not passed on this occasion, you will have committed at least one of the common errors that go against your score. Here is a look at some of the most common reasons why people fail their driving test, so that you can focus on getting these right if you haven’t already taken your test and also if you are going to have to apply again. You should always be aware of what is around you at all times behind the wheel and a regular reason for failure is a failure to carry out effective observation, especially at a junction. Your driving test score is made up of a series of minor and major faults. You are allowed up to 15 minor faults by the examiner but a serious fault which is considered to be dangerous, will result in a fail. Your aim is to keep those minor faults to a minimum and remember that every time the examiner considers you have failed to take effective observation before emerging from a junction or making another manoeuvre, they will add a minor fault to your score. Another common reason for failing is to not use your mirrors property. You can soon rack up some minors for failing to use your rear mirror and wing mirrors properly or as often as you should do to be considered safe, so work on checking the mirrors regularly so that you don’t lose valuable points in your test. There are a number of regular mistakes that can result in a driving test fail and they can all be eliminated if you practice them and they become part of your driving habits. Not cutting corners at junctions, sticking to the right lane and observing road markings are common failings as are a lack of correct response to traffic lights. If you do fail your test, take a look at your test result sheet and rather than being downhearted, channel your energy into getting it right next time and being granted the freedom of the road. Michelle Cross is an advanced motorist who has a passion for anything auto. She likes sharing her tips and suggestions with an online audience and writes for several motoring resources.